Home > Tadbit's "Silly Buddy"
Design Notes: Everyone needs a buddy who's silly! 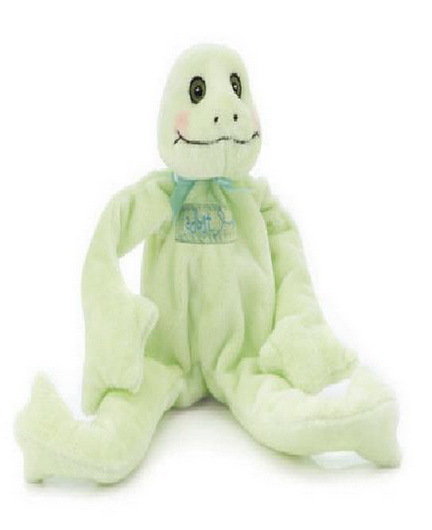 Green velour silly frog has long arms making him easy to tie on the side of a crib or to top a baby gift. Machine wash cold. Tumble dry NO heat. Size: 10"